The S.USV pi basic is an advanced power supply additional module for Raspberry Pi, with the main focus on the uninterruptible power supply of the single-board computer. 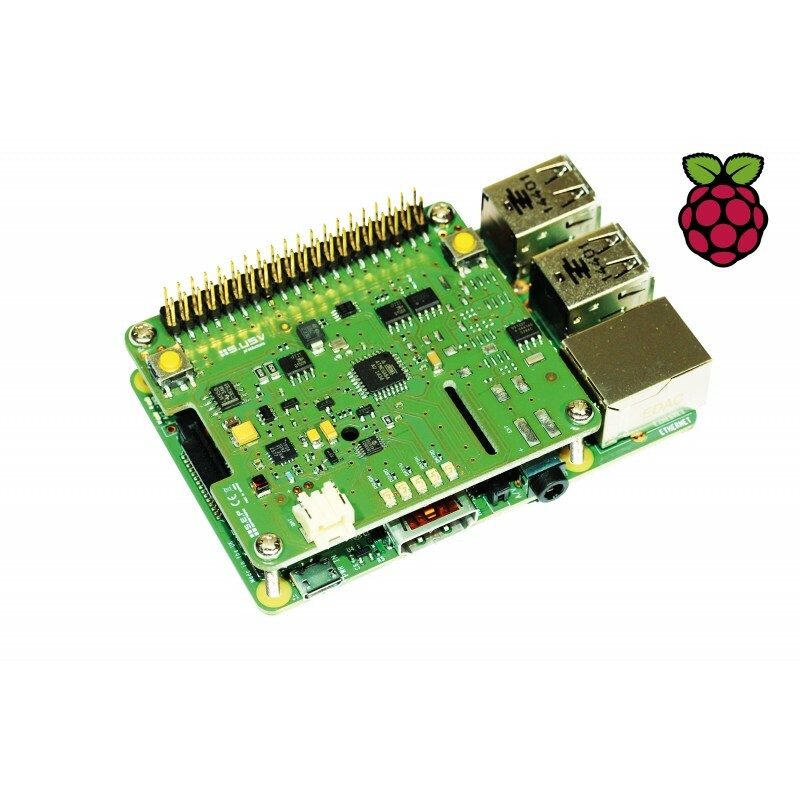 The module also provides additional functions in order to optimize the operation of the Raspberry Pi by the user. Among other things, this has the ability to adjust the integrated charging current to 300mA (standard), 500mA, or 1A, causing much faster battery charging time. The S.USV pi basic is a fully functional plug & play solution. The power supply occurs directly through the J8 connector on the Raspberry Pi and therefore uses a common voltage source, thus no additional cabling or power supply needed. In addition, the module is equipped with a LiPo battery. An integrated boost switching power converter covers the necessary voltage range, thereby the Raspberry Pi shut down safely in case of misconduct and prevent data loss. To ensure uninterrupted power supply of the Raspberry Pi, the S.USV pi basic offers a fully integrated monitoring - system with a wide spectrum of operating options. All possible operating states of the Raspberry Pi are monitored internally, so the module is always in a position to respond to misbehavior accordingly. If, for example, the power supply of the single-board computer falls below the adjustable voltage threshold, the S.USV pi basic automatically switches to battery mode and keeps the functionality of the Raspberry Pi over an by the user adjustable time period constant and bridges the power failure or shut down the single board-computer in case of a long-term power outage securely. All these features work automatically. In Addition, the operator has the opportunity to check and control all operating states or switching operations on a software including mobile application via smartphone or tablet.